Karpenko Katerina Ivanivna - Doctor of Philosophy Science, Professor. Alekseenko A.P. - Professor of the Department. Responsible for scientific and methodical work, the coordinator ECTS - Ph.D in sociology, associate professor Maruschenko O.A., Responsible for scientific and research work - Ph.D in sociology, associate professor Sedaya Y.S, responsible for extracurricularwork - Ph.D in philosophy, associate professor-Goncharenko L.A., Responsible for scientific work with students – assist. – Deyneka V.V., Responsible for work with English speakers students – assist. Rozdymaha L.I. ; senior laboratory assistants - Gorodova N.M., Mareeva L.V., Garyaeva O.M. Philosophy, elective courses "Sociology and medical sociology", "Ethics", "Basics of Christian ethics and morality" are taught at the department. Since 1997, the classes are conducted in English. Every year, more than 60 podtgraduate students, medical residents and practitioners of health care have opportunity for depth philosophical training and exams. 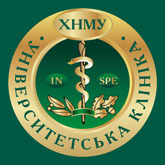 From the 2014-2015 years, Professional ethics", "Philosophy of Education", and "Sociological Research in Education" are taught for masters , also teachers of the department provide educational process of quality and modern scientific methodical literature, for the last 5 years, have been prepared and issued more than 20 scientific teaching materials and textbooks for all subjects, which are taught at the department. 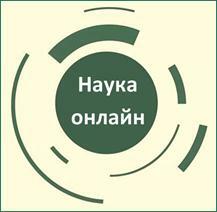 The theme of the main scientific plan of the department is "Human Problems in Social-Humanitarian and Medical Discourses". Together with other departments, the Department will participate in the elaboration of a comprehensive theme "Health of a Healthy Person". In 2012, the Department created a "Gender Education Center", headed by Prof. Karpenko K.I. The Center provides assistance to teachers and students of the University in implementing the idea of gender equality in the educational process, in the study and implementation of gender approaches to basic disciplines. In 2017, a V international multidisciplinary scientific-practical conference "Gender. Ecology. Health ", which was attended by representatives from 7 countries. In August 2015, the Ukrainian Association of Gender Medicine was formed, which aims to integrate efforts to implement the ideas of gender medicine. The subjects of scientific researches of the department's staff: spirituality and medicine, ways of formation of the national education, problems of culture and values, searches in the gender plane, questions of development of legal culture, sociology of medicine, etc. Teachers of the department together with students constantly participate in conferences of different levels with the relevant subject. In August 2018, the acting Head chair, Prof. Karpenko K.I. took part in the XXIV World Philosophy Congress in Beijing. Since 1998 the Department holds yearly scientific-and-practical conferences with international participation of teachers, young scientists, students of KHNMU and other universities of the city on the major problems of philosophy and medicine, establishing interdisciplinary communication. The Department cooperates with the Department "Women in the history of Philosophy and science" University of Paderborn (Germany) and Institute of Gender Medicine (Clinic Charité, Germany). 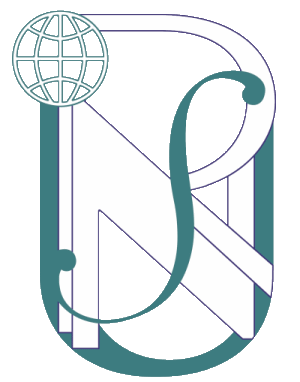 The Department of Philosophy, as an independent unit, was founded in 1959. The first head of the department (from 1959 to 1961) was assistant professor L.V. Sohan. Subsequently the department was headed by associate professors I.O. Ustinov (1961-1973), I.E. Smirnov (1973-1982), V.G. Levchuk (1982-1993), from May 1993 to June 2018 - Doctor of Philosophy Science, Prof. A.P. Alekseenko. From June 2018 the Acting Head of Department is Doctor of Philosophy Science, Prof. K.I. Karpenko.